The summer is over, and we are facing sending our children back to school. In an effort to help make the transition back to school easier for both the children and the parents, we are releasing the September issue early. Instead of waiting for the end of the first week of the month we are releasing September’s issue at the end of August. We hope that this gives you some time to get things in order for you and your child. In our cover story, Dr. Carosso offers some great tips on how to make going back to school easier and mom Meghan Graham also shares her story of how planning ahead aides in decreasing her daughter’s anxiety when meeting a news teacher, and new students. In an effort to keep you all well-informed on educational rights, I had the pleasure of interviewing the creators of YourSpecialEducationRights.com. Special Education Advocate Julie Swanson has a non-verbal autistic son and convinced Special Education Attorney Jennifer Laviano to team up with her and Mazzarella Media to create this wonderful website that has tons of short videos helping parents understand the latest laws and how to advocate for your child. Make sure you check out this free resource to ensure that your child is receiving the services that they deserve. I personally used their information to advocate for my daughter. Speaking of advocating, check out our News Section about the Autism Anti-Bullying Campaign and sign the petition to have stricter laws surrounding bullying people with autism. Also, our Q&A section explains how to include bullying into your child’s IEP if it is an issue your child has encountered. 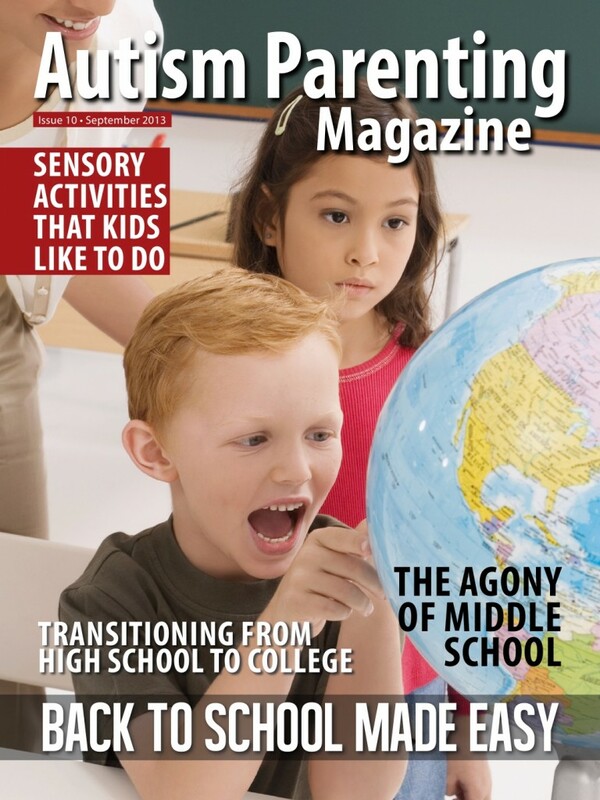 Within the issue, I am happy to be featuring an article by an autistic teacher explaining how she is a great teacher because of her autism, as well as, featuring an article written by a mom with Asperger’s and how she handles and copes with her daughter being in middle school. For parents with teenagers, we are proud to feature an article by Jaclyn Hunt explaining how to make transitioning from high school to college a smooth transition. I hope you enjoy the vast array of articles we have surrounding school in this issue and I hope that the information helps everyone start the school year off right. Ir really enjoyed you articles, because I also believe you have build a good relationship with the family , and value their opinions and used them in your care, so they feeling as your real partner in caring relationship . Very useful information for all educators and families too.